King Kamehameha Day » Use Exciting in a sentence. 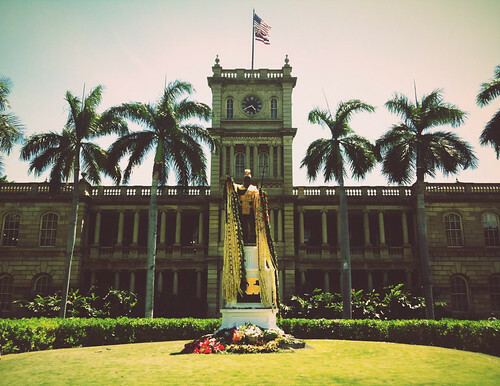 This weekend celebrates King Kamehameha Day in Hawaii, which is observed on June 11th each year. King Kamehameha I, or King Kamehameha the Great, is responsible for uniting the Hawaiian Islands into the Kingdom of Hawaii. June 10th: Hilo Lei Draping ceremony on Sunday, 5:00 p.m. at the King Kamehameha Statue, Hilo bayfront. June 10th: Kamehameha Day Ho`olaule`a at Coconut Island, 9:00am – 4:00pm. April 22nd: Waimea- Pa`u demonstration at Anna’s Ranch from 10:00 a.m. – 2:00 p.m. The public is welcomed to attend and learn about the many components of and fascinating history of Pa`u riding. 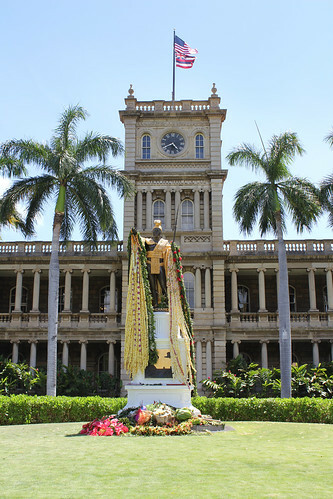 June 16th: King Kamehameha Celebration parade at 9:00 a.m. Ho`olaule`a to follow. Next year, I think I’m going to try to be at the lei draping ceremony and the parade here in Honolulu. This entry was posted in hawaii and tagged hawaii, hawaii state holidays, kamehameha day, king kamehameha, king kamehameha day, lei, state holidays. Bookmark the permalink. ooh… forgot you got a dslr. i might have a holga lens laying around somewhere for you. hopefully it’s for canon and not nikon. Yay! That’s super nice of you to think of me. :) Also, you are my very 1st legit comment! I have 50 comments that were spam so far, so I was stoked to actually have a real honest-to-god comment on my blog. Mahalo Rid!! !